2014 is shaping up to be a decisive year for the future of food and farming. Grassroots activists are gearing up for new legislative battles, including state GMO labeling laws and county bans on growing genetically engineered crops. Meanwhile the multinational food corporations last month raised the stakes in the ongoing David vs. Goliath battle bypetitioning the U.S. Food & Drug Administration (FDA) to allow companies to continue to label or market products that contain genetically modified organisms (GMOs) as “natural.” And all signs point to efforts by industry and the FDA to float either voluntary, or watered-down mandatory GMO labeling laws that would take away states’ rights to impose strict GMO labeling laws, and also exempt a large percentage of GMO ingredients from labeling. For more than two decades, Monsanto and Big Food have poisoned and profited with impunity, thanks to the FDA’s reckless 1992 dictate that pesticide-drenched (Roundup-resistant) or insecticide-impregnated (Bt-spliced) crops and foods are “safe and substantially equivalent” to non-GE foods. Now, the Biotech Bullies and Junk Food Giants are under siege by a well-informed and passionate grassroots food movement that is determined to drastically reduce or eliminate the market share of genetically engineered and chemically-intensive foods and crops. Monsanto’s scary new scheme: Why does it really want all this data? Imagine cows fed and milked entirely by robots. Or tomatoes that send an e-mail when they need more water. Or a farm where all the decisions about where to plant seeds, spray fertilizer and steer tractors are made by software on servers on the other side of the sea. This is what more and more of our agriculture may come to look like in the years ahead, as farming meets Big Data. There’s no shortage of farmers and industry gurus who think this kind of “smart” farming could bring many benefits. Pushing these tools onto fields, the idea goes, will boost our ability to control this fiendishly unpredictable activity and help farmers increase yields even while using fewer resources. The big question is who exactly will end up owning all this data, and who gets to determine how it is used. On one side stand some of the largest corporations in agriculture, who are racing to gather and put their stamp on as much of this information as they can. Opposing them are farmers’ groups and small open-source technology start-ups, which want to ensure a farm’s data stays in the farmer’s control and serves the farmer’s interests. Who wins will determine not just who profits from the information, but who, at the end of the day, directs life and business on the farm. One recent round in this battle took place in October, when Monsanto spent close to $1 billion to buy the Climate Corporation, a data analytics firm. Last year the chemical and seed company also bought Precision Planting, another high-tech firm, and also launched a venture capital arm geared to fund tech start-ups. China rejected two shipments — almost 546,000 tons — of U.S. dried distillers’ grain, a corn byproduct, because it contained genetically modified material, state media reported Friday. China’s top food-quality watchdog rejected the two shipments because they contained MIR162, a special insect-resistant variety of maize developed by Syngenta, a Swiss maker of seeds and pesticides. The first shipment, 545,000 tons, was rejected last week in Shanghai, state media said. The second shipment, 758 tons, was rejected Monday. The Journal of Food and Chemical Toxicology has apparently decided to violate those procedures, announcing it is retracting a long-term study on the toxic effects of Monsanto Genetically Modified Organisms (GMOs)—GMO Maize it published a year ago. The bizarre reports come only six months after Elsevier created a special new position, Associate Editor for Biotechnology (i.e. 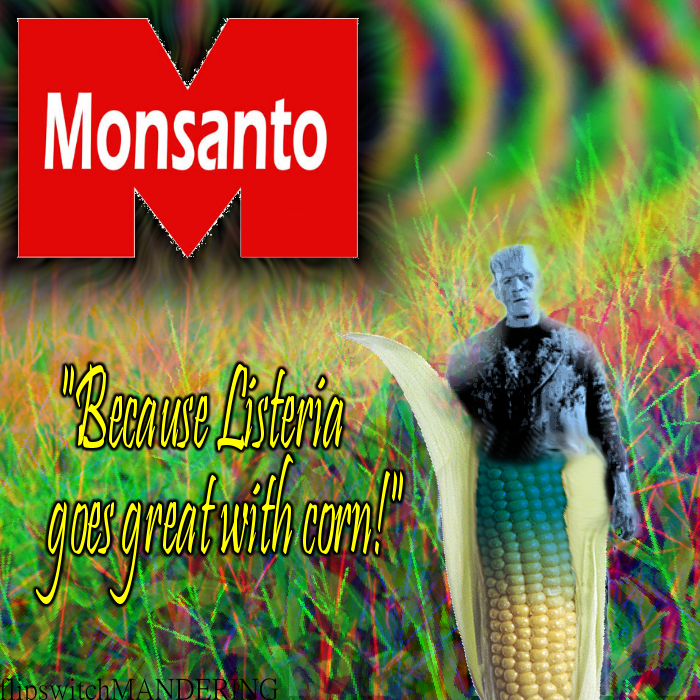 GMO), and filled it with a former Monsanto employee who worked for the giant Monsanto front-organization, the International Life Sciences Institute, which develops industry-friendly risk assessment methods for GM foods and chemical food contaminants and inserts them into government regulations. Sound like something wrong with this picture?